Nothing is more important than protecting your freedom if you have been arrested for driving under the influence (DUI) / driving while intoxicated (DWI) in Philadelphia. That is why hiring an experienced and knowledgeable Philadelphia criminal defense attorney is so important. Our team at Parkinson, Tarpey & Lloyd has extensive experience from both sides of the courtroom. As former district attorneys, we can offer the strategic defense you need to protect your driving privileges and your future. Consists of the premier trial attorneys from each state. Promotes access to justice for all people in the community. Featured in the Legal Superstars 2015 list of Newsweek magazine. Two of our attorneys are deemed as fraud investigation experts. A DUI conviction comes with penalties that continue to manifest as time passes. Immediate consequences of a conviction may include heavy fines, jail time, license suspension, and mandatory alcohol treatment programs. However, depending on your situation, the penalties could affect other areas of your life. Car insurance premiums are guaranteed to spike once you reinstate your license and for some, the possibility of deportation arises with the added scrutiny from law enforcement. Furthermore, the strike will mar career and educational pursuits for years to come. The bottom line is that you should not take this charge lightly. The time to act is now. If you hire us, we can work together to have your charges reduced or even dismissed. When you have our defense lawyers on your side, you can rest-assured that every possible resource will be exhausted in your defense. With experience fighting from both sides of the courtroom, we have an invaluable perspective of how the opposing side thinks. Our inclusion in the Top 100 Trials list demonstrates our ability to achieve favorable results on behalf of our clients. Our proven record of success demonstrates our ability to effectively defend our clients, regardless of how complex the case may be. We will stop at nothing to ensure that every client's voice is heard, and their rights and futures are protected. We have successfully helped countless clients get their charges reduced or even dropped. Because of our record of success, we have become highly recommended amongst our clients. Don't just take our word for it - see what our clients have to say. 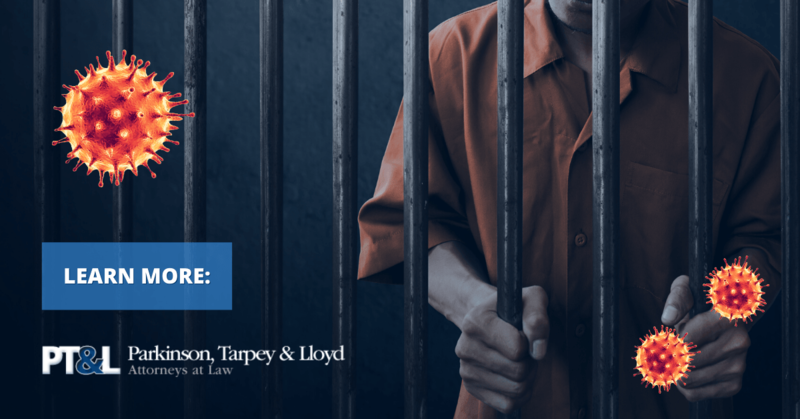 With more than 40 years of combined experience, the Philadelphia​ criminal attorneys at Parkinson, Tarpey & Lloyd are prepared to protect you from the penalties. By choosing our team to defend you, you can be sure that your interests will be protected successfully and effectively. We begin these cases by looking at the initial arrest. We know how to examine the results for inconsistencies and errors.